There is a reason why this album appears on just about every "best of" rock album list ever published, and why it remained on Billboard's top album list for 14 years. It's awesome. The songs, the lyrics, the sound effects, the mix, the clarity - it's all top-notch. 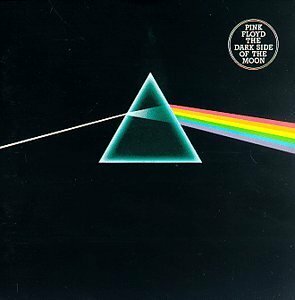 This album was released in 1973, but there is no hint as to when it was recorded when you listen to it. It is timeless and certainly a classic. Writing a review for such an acclaimed album almost seems superfluous, but I will take the time to rate each track. These are just my opinions; the album was meant to be heard all the way through. If you are younger and have never heard this album, I implore you to give it a try. You will discover the depth of a true classic rock album. For an album to be so meagre in depth there are many words to spend. To begin with, to claim this piece of crap is a 'messed-up-piece' only shows a severe lack of knowledge and wisdom, to take that Benny my man! Secondly for a CD so painfully preposterous there is no validation and right to exist under the sun moon and stars. How utterly dreadful that (again!!) the dumb masses be enchanted by this unwiped *** of an album. It is cruelly misappropriate to barf any cliched compliments over this swine of swines. I wish I could destroy this CD on the first day of its smelly 'breathe'. 0 stars now and always. Forget all those people who have rated this under five stars. They are not to be trusted. What Roger Waters, David Gilmour, Rick Wright and Nick Mason achieved is of such brilliance it's even silly to review it. So I won't. I'm glad there's no light whatsoever on the dark side of the moon because then we should be able to contemplate the whole universe from there. All stars would be shining as bright as they could just like the music on this album does. My my my this is the baddest reqord eye ever hurt!!!!!! !